D-TAR Big SoundSpot™ for musical instruments, includes large high output sensor and external mount jack. For Berimbau, Hammer Dulcimer, Oud, Kalimba, Log Drum, 6- And 12-String Steel-String Acoustic and Nylon-String Classical and other stringed instruments. SoundSpots are ultra-sensitive transducer pickups suitable for stringed and non-stringed acoustic and ethnic instruments. 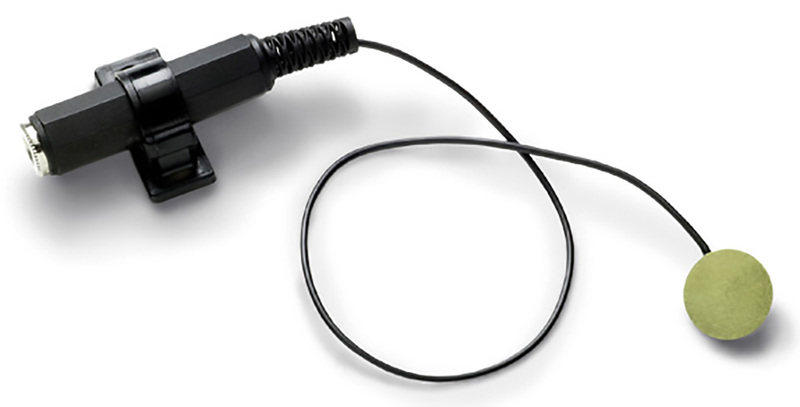 Unlike other "dot-type" transducer pickups, each SoundSpot™ is hand ground to extremely fine tolerances. This process, along with the selection of materials, renders a pickup with a very thin surface that also maintains its strength and flexibility. The result is a transducer that is ultra-sensitive to an instrument's surface vibrations and, therefore, is extremely natural and warm sounding.